We bill to most other Insurance Companies, Check your Out-of-Network Benefits. I, like many others, have always hated going to the dentist. With Dr. John and his staff, going to the dentist is no longer intimidating. They are so kind, understanding, and patient. I would strongly recommend this doctor to anyone who gets nervous going to the dentist! - Emily D.
“Dr. John has such a gentle touch that I never felt any discomfort before, during, or after my procedure. 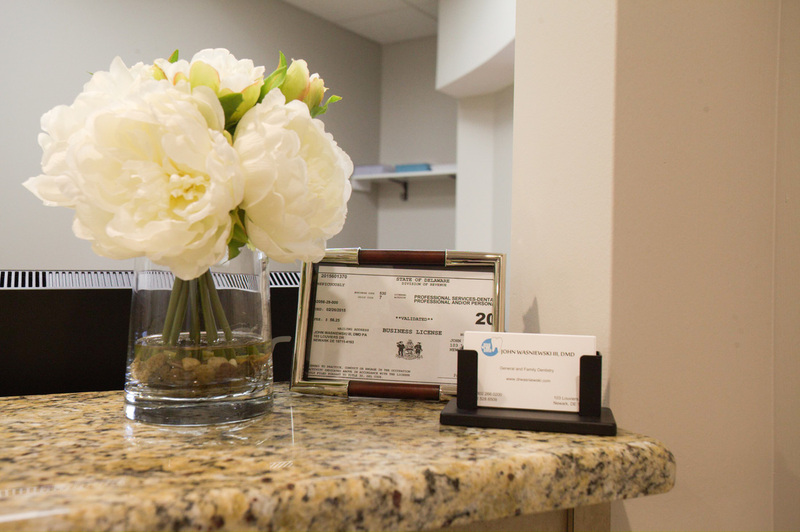 I can’t speak highly enough for the quality of his work and for the way his entire staff treated me and my family.” – Kristin M.
I just recently started seeing Dr. Wasniewski as my new dentist and my experience has been great every visit. The staff is all very friendly and Amanda is very accommodating with scheduling. Dr. Wasniewski is extremely thorough and takes the time to explain in detail what work needs to be done. Just an all around relaxed environment in comparison to all other dentists I have been to. I highly recommend their office... A+ service. - Anthony P.
​Dr. John and his staff are friendly and professional. They make you feel at home. They take the time to get to know you on a personal level. They care about you as a person, not just as a patient. You never have a long wait and it's a comfortable atmosphere. We actually look forward to going to our dentist.